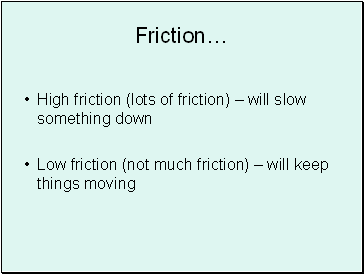 High friction or Low friction? 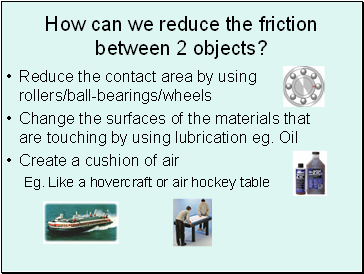 How can we reduce the friction between 2 objects? 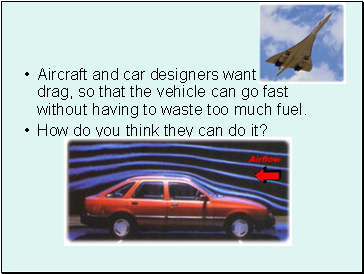 Aircraft and car designers want to reduce drag, so that the vehicle can go fast without having to waste too much fuel. How do you think they can do it? The winning team is the one who gets their plane to stay in the air the longest and is the fastest. 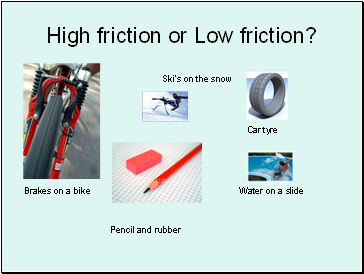 Use only the materials indicated in the above list; you don’t have to use them all. 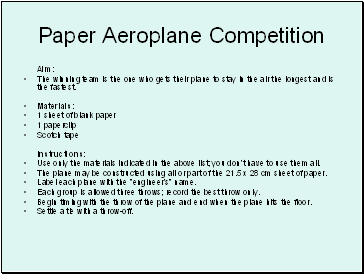 The plane may be constructed using all or part of the 21.5 x 28 cm sheet of paper. Label each plane with the "engineer’s" name. 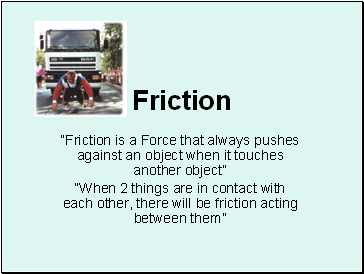 Each group is allowed three throws; record the best throw only. 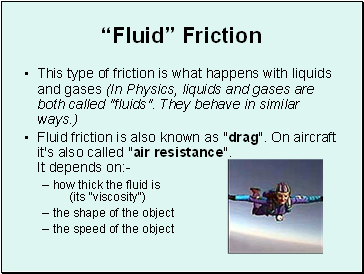 Begin timing with the throw of the plane and end when the plane hits the floor. Settle a tie with a throw-off.